Utilizing the full power of IronPlanet and Ritchie Bros. Auctioneers, we will be selling items via multiple auction events and formats. 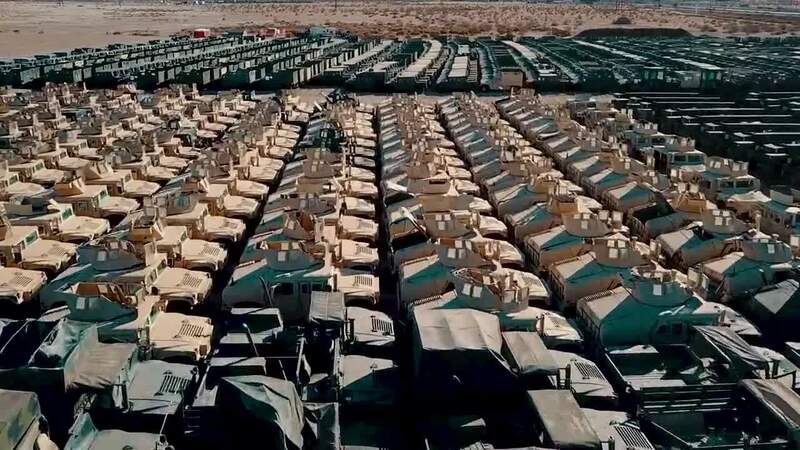 All Humvees, tactical vehicles, construction equipment, food service equipment, storage containers, air conditioning and heating equipment, and various other industrial equipment will be sold via two, simultaneous, live unreserved auctions at Ritchie Bros.’ permanent auction sites in Las Vegas, NV and Atlanta, GA on December 7 – 8. Meanwhile, uniforms, field gear, and thousands of other items will be sold online via GovPlanet.com over the same two days. “This unprecedented event showcases the operational strength and depth of our organization by leveraging the power and broad reach of our multiple selling platforms,” said Doug Feick in a news release we issued about the massive event. Pulling this off will be a huge operational exercise as we have tens of thousands of items stored in dozens of locations that need to be sorted, organized, photographed and uploaded to GovPlanet to be marketed and sold. Thankfully we have the team to do it. “This auction is a massive undertaking that we alone are uniquely positioned to handle,” said Conner Humphrey, Vice President, GovPlanet.